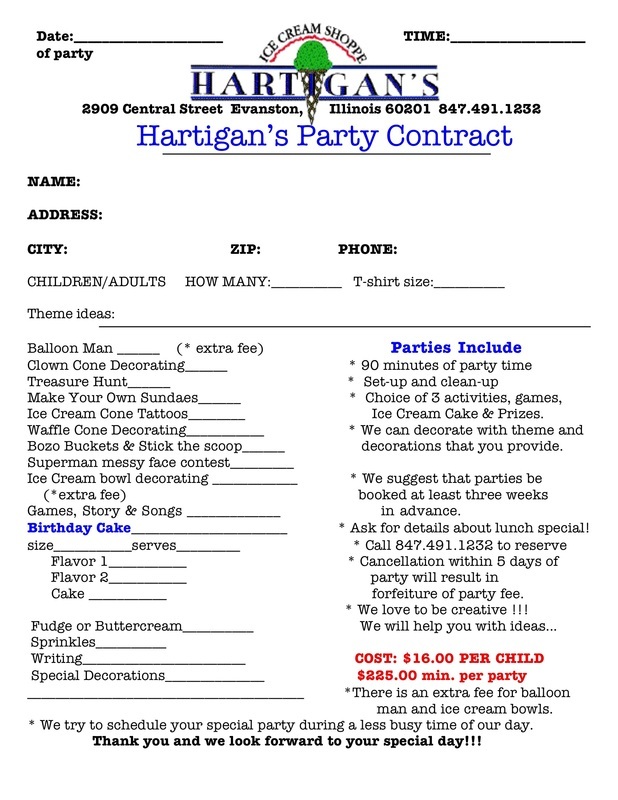 Please print this contract and return to Hartigan's Ice Cream Shoppe with your deposit. You may also get a contract at the store. If you have questions please contact us at 847.491.1232 Thank you very much!